At The Coca-Cola Company, we are committed to doing our part to help make it easier for schools and parents to achieve their goals. In 2006, Coca-Cola, along with President Clinton, the American Beverage Association and its member companies, established the U.S. School Beverage Guidelines, under which Coca-Cola and other companies have voluntarily removed sparkling, regular beverages from primary and secondary schools. This action reduced the calories from our industry’s beverages in schools by 90 percent since 2004. 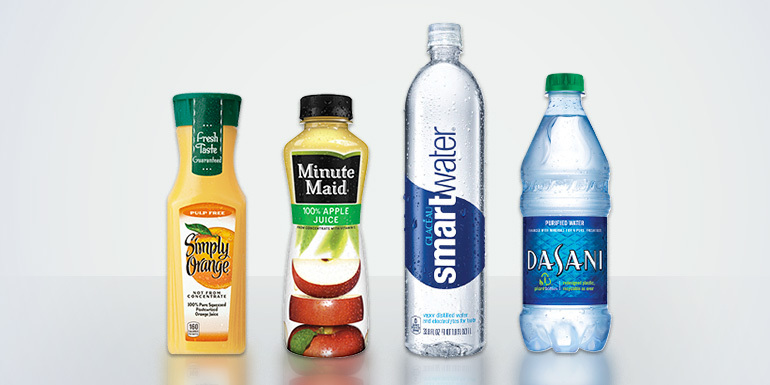 We continue to take action in schools by evolving our beverage offerings to support the new U.S. Department of Agriculture (USDA) interim rule. We offer USDA compliant products and have aligned our primary and secondary (K-12) school beverage offerings with the new USDA regulations. In the catalog below, you will find specific designations for elementary, middle and high schools. By offering these popular brands, we can help the schools we support meet their wellness efforts and increase their a la carte sales too. PLEASE NOTE: State and local School guidelines may have additional regulations that prohibit the sale of some USDA compliant beverages in learning institutions. Please verify School Beverage guidelines with local administration and officials.